*Authorized Mid Continent & Crystal Cabinets Dealer* Ann Marie McCauley is the founder of Lazy Suzan Designs, a company known for excellence in kitchen remodeling design & service since 2005. She has a BFA from Rhode Island School of Design & has attended UC Berkeley for advanced studies in Interior Architecture. She has been in the kitchen & bath industry for sixteen years using her fine art & interior design background to create timeless & functional kitchens. The mobile showroom makes it easy to select materials in your home with the advice of an experienced designer. Feel free to contact us...we'd love to hear from you! Our high standards, such as job site cleanliness down to fair pricing, with excellent customer service is always our priority. We are happy to help and ready to assist. with any design needs! Our main purpose and focus is to ensure we always have a happy client not only at the beginning of the project but more importantly at the completion of the project. We started Phoenix Contractors to do away with the notion that hiring a contractor is unpleasant. For over 11 years, we've been serving happy clients and pride ourselves on customer service. We work directly with you, your contractor or your interior designer to order & install cabinets tailored specifically for your needs. 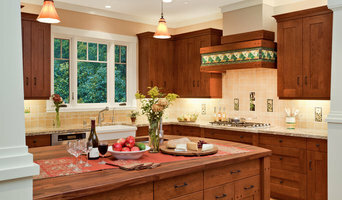 We work with quality cabinetry brands & seasoned professionals. For the past 12 years Sharon Stone Design has been working with many homeowners and architectural and design firms to help them understand their needs and concerns for their remodeling project. We offer full kitchen and bathroom remodeling, specializing in stone countertops, design, fabrication and installation. We have a proven track-record of success, and can inherently contribute to your project, by making the design and installation process easier for you. Our unparalleled service ensures that you receive transparent communication every step of the way. Our goal is to provide you with a peace-of-mind that all details are being handled in a professional and efficient manner. We are here to support and offer quality services to help you with any of your project needs. We are responsible, responsive, reliable and honest. Give us a call today or come to our showroom to speak to one of our friendly designers on staff! Ann Marie McCauley has been in the kitchen & bath industry for sixteen years using her fine art & interior design background to create timeless & functional kitchens. Professional Bathroom Remodeling Contractors in Palo Alto With our 15 years of great service, you can leave the hard work to us! Remodeling a bathroom is a tough challenge and you need someone with experience to remodel your bathroom in the right way. Bathroom Remodeling Palo Alto is one of the most trusted names in bathroom remodeling in Palo Alto and we have been remodeling bathrooms for the residents for Palo Alto in the way they want. We believe that if its your bathroom, then you should have say in everything. That is why you call the shots all the time. We just help you make the right decisions and do all the heavy lifting. We offer bathroom remodeling services in Palo Alto and the surrounding neighborhoods from our offices at 855 El Camino Real #55, Palo Alto, CA 94301. So, get in touch with us and remodel your bathroom just like you have dreamed of. Our prices are also one of the most affordable in the industry. We take pride in offering value for money to our clients. So, if you want to get the best services at the best prices, get in touch with Bathroom Remodeling Palo Alto. We promise that we would offer you nothing but the best! So, contact us today and get the very best in bathroom remodeling in Palo Alto. So what are you waiting for? 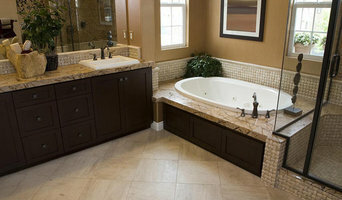 Get in touch with us at bathroomremodelingpaloalto.com or give us a call on (650) 250-4002 today! We would help you transform your bathroom into something beautiful. Reliable Kitchen Remodeling Company in Palo Alto We understand that you want to make your kitchen look beautiful and that’s where we help. We are one of the most kitchen remodeling companies in Palo Alto having more than a decade of experience in the industry. In all these years, we have optimized our design process so that they meet your needs perfectly and we have streamlined our process so that you save time and money. This enables us to give you the best services at the best prices. We offer kitchen remodeling services in Palo Alto and the surrounding neighborhoods from our offices at 299 California Ave #55, Palo Alto, CA 94306. So, get in touch with us and remodel your kitchen just like you have dreamed of. We offer you a wide range of services so that we can meet all your needs and desires. Just tell us what you want and we would get it done. Just give us a call or fill in the form above. We would fix up an appointment and we would handle the rest! So, let’s build you your dream kitchen! 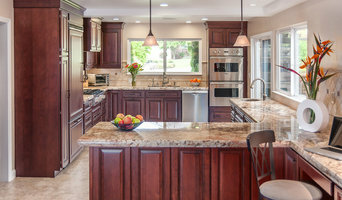 So, contact us today and get the very best in kitchen remodeling in Palo Alto. So what are you waiting for? 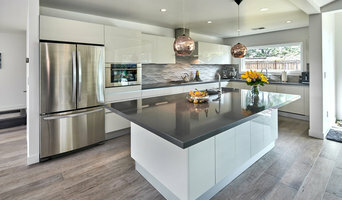 Get in touch with us at kitchenremodelingpaloalto.com or give us a call on (650) 935-6585 today! We would help you transform your kitchen into something beautiful. Green Bay Remodeling has become a trustworthy business leader by offering excellent aptitude and technical comprehension across every stage of a project. Exceptional Attention to Detail Serving the Bay Area, Arnold’s Custom Homes, Kitchens & Baths is a company with a competitive edge over larger companies where the quality of work is diminished since the finer details of a project are often overlooked. In contrast, all of projects are overseen by our General Contractor, William Arnold, from beginning to end. Our goal at Arnold’s Custom Homes, Kitchens and Baths is a collaborative effort with our customer to create a dynamic living space where appeal and function come together as one. Personalized Service If you can dream it, we can build it! Remodeling your home should be an enjoyable experience, not a stressful one. Not only do we take pride in our workmanship but we emphasize establishing open communication with our customers in order to materialize the customer’s vision. Having a thorough understanding of the client’s goals, budget, time schedule, and being sensitive to their needs, Custom Workmanship and Superior Quality are the focus of each job we do. We only recommend quality products, and we expect and receive quality work from our employees and subcontractors. When we leave a job, we want the homeowner to be very proud of their Custom Room and very pleased that they hired us. An Impeccable Reputation It’s my name on the business, Arnold’s Custom Homes, Kitchens and Baths. As the owner, I stand behind that with my outstanding attention to detail, from whom I hire to how promptly I return phone calls. Our mission is to transform our client's living spaces in to a home of their dreams. We do our best to minimize our client's costs and make it a great remodeling experience for them! The beautiful 1,500 square foot Rutt showroom and design studio is located in the quaint Los Altos downtown area in the heart of Silicon Valley. Award-winning designer Gina Viscusi Elson was a part of the original design team from this showroom which opened over 20 years ago. She has been producing nationally recognized work since its inception. In May 2002, she and her husband Christopher Elson took ownership, naming their company Rutt of Los Altos, designers of custom cabinetry. Currently one of three exclusively Rutt showrooms in the country, Gina has assembled an exemplary design team who can assist you with the intricacies of custom cabinet selection, design and installation. They specialize in cabinetry for kitchens, baths, studies, master suites, entertainment centers and laundry rooms – virtually any room where it is required. Depending upon your needs, they will work directly with you, the homeowner, or through your architect, design professional or builder, any arrangement that is best for you and your project. Rutt of Los Altos is an Industry Partner to the American Society of Interior Designers (ASID), National Kitchen and Bath Association (NKBA), and they have long-standing relationships with architects and custom home builders. Many industry meetings and consumer events are hosted at the showroom throughout the year providing both professionals and homeowners with fresh ideas, on-going education, and the latest trend updates. Stop by Rutt of Los Altos to explore the various vignettes, enjoy a beverage and a chocolate (or two) and share your wants and wishes with professionals in a warm, comfortable and inspiring environment. This is the place where creative ideas and solutions flourish. American Kitchen and Bath, Inc. is a reputable full-service contractor specializing in kitchen and bathroom remodeling based in San Jose, CA.